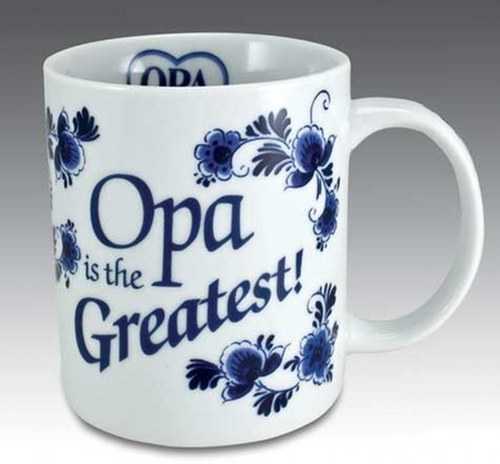 Opa is the Greatest coffee mug - white with blue floral design. 8 oz. Service Area: New Glarus, Madison, Janesville, Rockford, Loves Park, Middleton, Stoughton, Roscoe, Monroe, Waunakee, De Forest and surrounding communities.